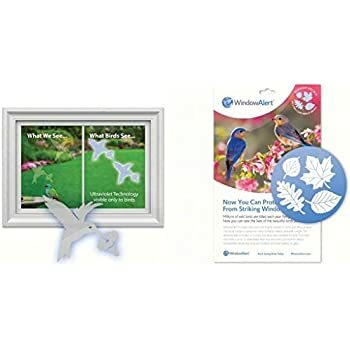 Amazon's Choice for "bird deterrent for windows"
Contains 4 decals per package. 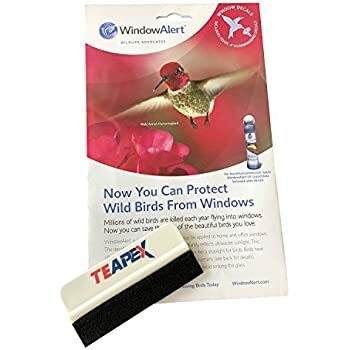 5.0 out of 5 starsKeeps the birds safe from your windows. Love them! Washed the windows, then applied the decals. They stick well on the glass, then I smoothed them out with a rubber/plastic spackle applicator. 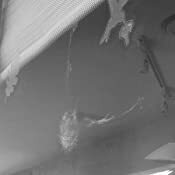 It's a barely noticeable ghost image. It's been about a month and none of the decals have curled, or lifted, even in this incredible heat wave! More importantly? Since the decals were applied, not one bird has smashed into the windows :) I'm so glad, because if they break their beaks, they die and I would hate to be responsible for that. A small price to pay for happy birds (and a happy homeowner). 3.0 out of 5 starsThey need to include solution. The decals themselves work as expected, the problem I had with them was the application. 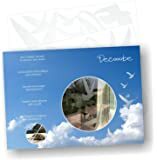 They come packaged with simple instructions to apply to a clean, dry window and to start in the center of the decal and work your way out. I did that but had bubbles upon bubbles that did not give the clear look through design I was hoping for. Staring at the bubbles made me think of cell phone protectors and how they can be bubbly but apply well with a few sprays of whatever solution it comes with. Thankfully I always toss that solution in a drawer so I had a couple of extra bottles, I used about 3-4 squirts on the window and then applied the decal. It was PERFECT and the bubbles were gone. Now I'm happy and I don't have to worry about the little hummingbirds flying into the window. 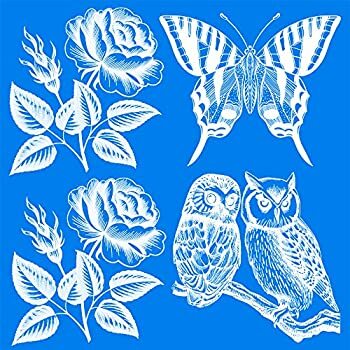 These are the decals you want to buy, and strangely from the same company that brought us the giant Hawk. These are small, but can be seen easily by birds. (Why do I know???? 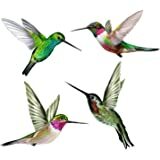 I have seen hummers take a detour) Sometimes birds get blinded and cannot see what they are running into, and these decals seem to be the best thing short of a net around your windows. So, go ahead and pay a small fee for these. They are kind of cute, you can take them up, wash windows and put back or move them around. 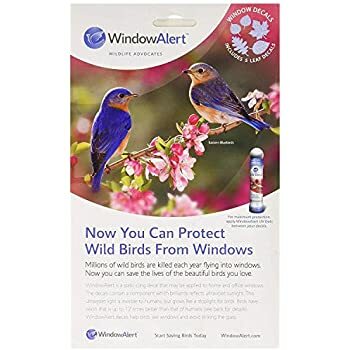 Well worth the paltry price if you have big windows and you love birds and hate to bury them. We live at the top of a mountain and the front of our house is all glass. 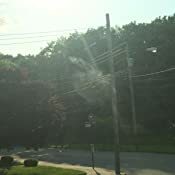 For years we have had constant bird strikes all summer long. Some shake themselves off and eventually fly away and others die. 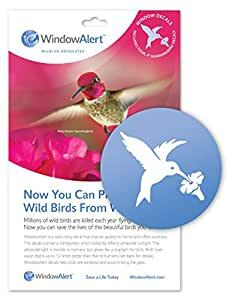 After 5 beautiful birds dying with in 2 days I had had enough and went looking for something to put on my windows. 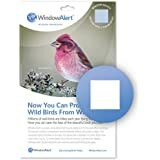 I found the window alert. Be aware that they go on the OUTSIDE of your glass. I didn't realize this when ordering and we have VERY high windows and I am terrified of heights. My husband put them up for me (thank God) and we have only had 1 bird strike so far this summer. That is a remarkable decrease from what it used to be. 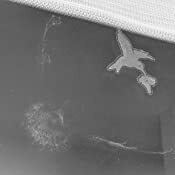 I would recommend these to anyone who bird strike problems. They are non-intrusive, you hardly notice them on the windows (it just kind of looks like a glass etched design). These are as we hoped. The birds haven't flown into the glass slider near their feeder, and the translucent hummingbird "decals" are pretty unobtrusive. We didn't want come colorful stickers blocking our view of the birds and the backyard, and these, though visible, are not a distraction.I didn't put them up, but I'm pretty sure they just adhere to the glass without glue and can be easily relocated or removed whenever you wish. What a great idea! I had no idea these actually existed until I did a web search and stumbled upon these on Amazon. I bought a set for me and a set for my mom. 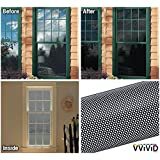 They work great and what's even better is they look great without taking over the entire window. So many of the other products out there tend to take your eye away from the window view and focus on the shiny object. These are totally different. And, better yet, they work. 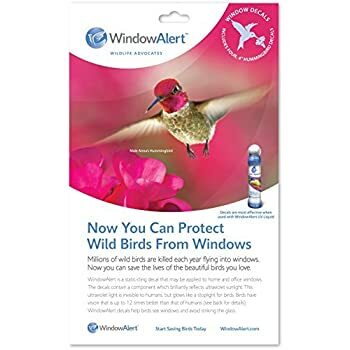 We were having too many window / bird collisions prior to my purchase. After applying these to the windows, the collisions have dropped dramatically which is terrific. It is a super innovative product that I truly appreciate. Thanks ---- oh, yeah, and better still, they are made in the USA! 5.0 out of 5 starsWorks--have not had any more dazed or dead birds! I have quite a few patio doors/large picture windows on my home. Bird thumps were routine, as well as rushing out to check and protect since we have outdoor cats. 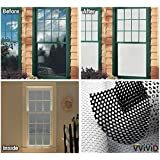 These decals work very well--I use two on each patio door section. I have not had any more bird crashes--a bonus is that they are not that visible or distracting from the view. I would highly recommend these. We have them on all windows, both big and small. 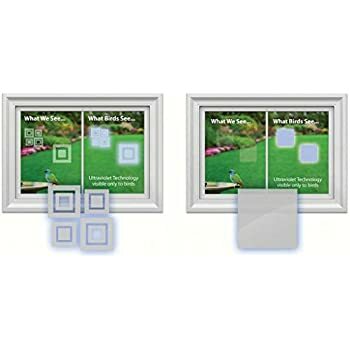 I place one on the right side of the pane and one on the left diagonal from each other, third of the way down and third of the way up. We live in a woodsy area with lots of birds. 4.0 out of 5 starsGreat but needs sun. When then sun is on them they work great. But we had one west facing window that in the dawn a bird would fly into repeatably. (I think he was fighting himself) but as the sun would rise higher, the attacks stopped. It was interesting in spring. As sunrise was earlier and earlier, the attacks stopped earlier and earlier. So I think the UV light concept works, but it needs some sunlight to do that . We don't really notice them on the windows, overall very happy with the purchase. 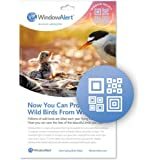 On the other windows, never had a bird attack after putting them up.